Mega Sale! 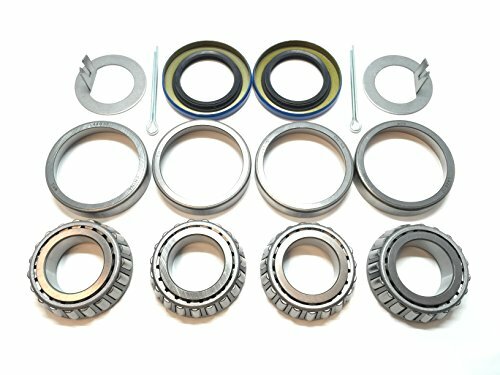 Save 22% on the (Set of 2) WPS Trailer Axle Hub Wheel Bearing Kits L44643 L44610 Spindle 1.000'' (1-Inch) Grease Seal 12192TB I.D. 1.249'' for 2000# EZ Lube Axles by WPS Western Power Sports at Zona Indonesia. MPN: L44643/L44610/12192TB. Hurry! Limited time offer. Offer valid only while supplies last. If you have any questions about this product by WPS Western Power Sports, contact us by completing and submitting the form below. If you are looking for a specif part number, please include it with your message.